Depression is devastating to those who have it, and to the sufferer’s loved ones. Depression makes you feel as if you are all alone, with nowhere to turn for help. That’s why Depression Boss was formed- to help those who suffer from depression to relieve their symptoms and to help them get better. The problem with Depression is that it can lead to serious consequences if left untreated. Indeed, many people who suffer from Depression either suicide and take their life, or they give up hope and do not have the will to go on living. Suicide is now the 2nd- or 3rd-most common cause of death worldwide, and most of these suicides are from depression. Depression is also one of the leading causes of disability worldwide, and is fast becoming the top cause for disability is many regions. Depression also causes significant turmoil in one’s life. When you have Depression, important decisions about life, relationships, work, career, and self-care are not made with the best choices and judgement, as Depression clouds your ability to think and make decisions. The good news is that Depression is treatable- you can recover from it. In other words, Depression does not have to lead to suicide, disability, or turmoil. Depression can be treated, and you can recover. Depression Boss is your first step towards this road to recovery. At Depression Boss, you can learn all about Depression and its many forms, and how to get help and relief. I’m Dr. Carlo, a psychiatrist licensed in Washington State, a Fellow of the American Psychiatric Association, and the Founder of Depression Boss. I have treated patients with anxiety and depression for over 15 years, and now will share my expertise on anxiety and depression with the global community. 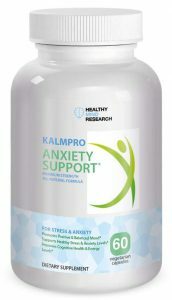 I am also the Founder of Anxiety Boss, which is a popular clinical website on anxiety. AnxietyBoss.com has received over 4 million visits since 2014. Depression Boss follows the same path as Anxiety Boss, but DepressionBoss.com focuses on depression. Depression Boss utilizes artificial intelligence (AI) with Amazon Polly, a text-to-voice application which translates from English to many languages.